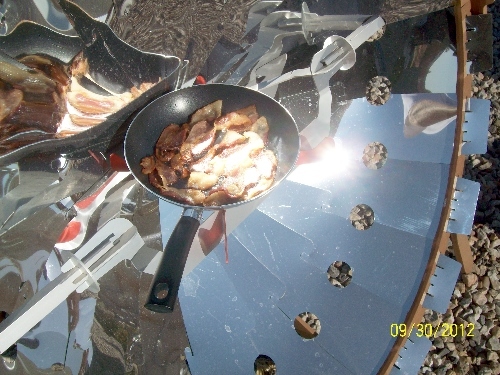 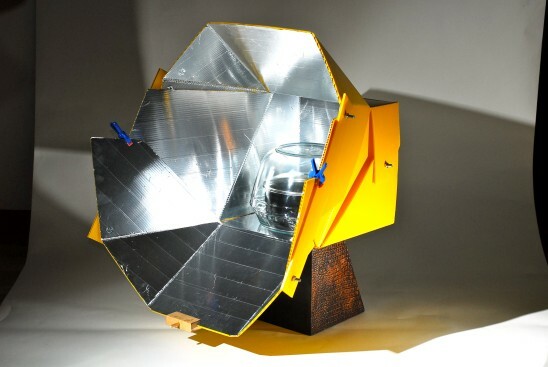 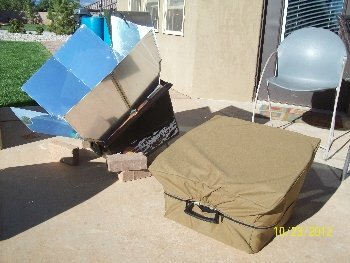 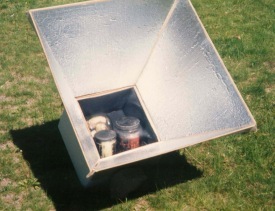 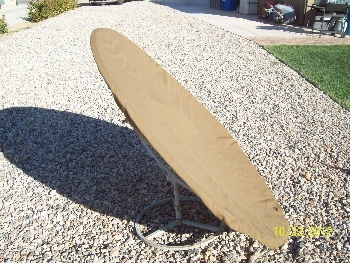 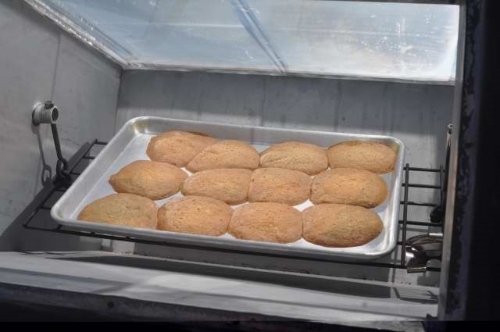 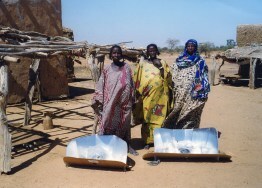 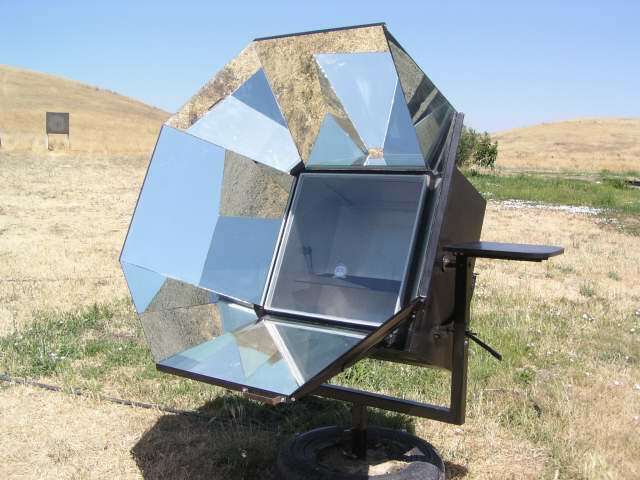 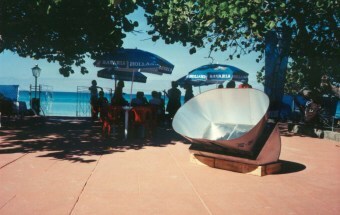 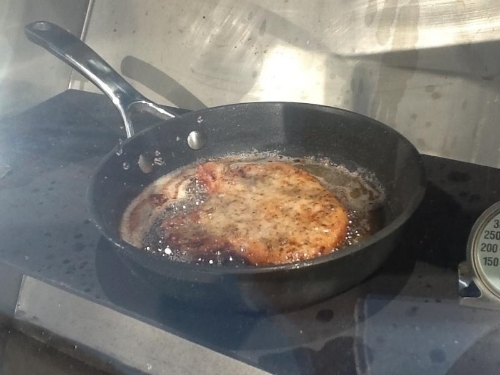 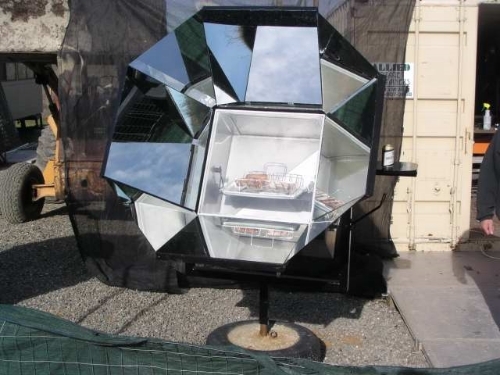 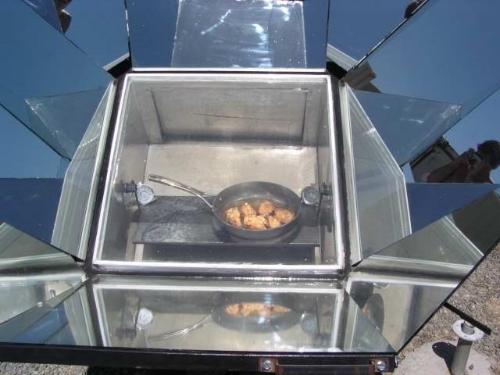 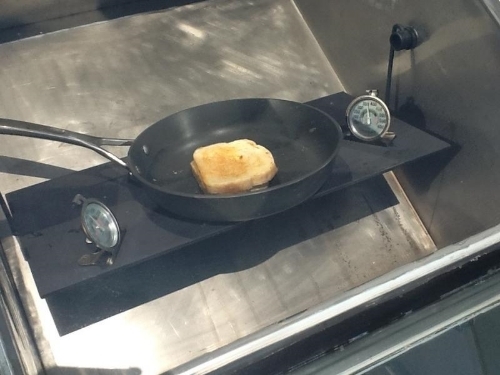 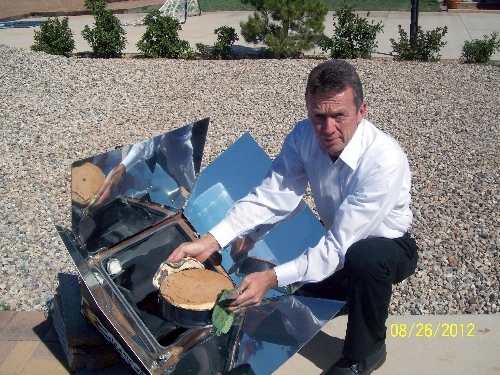 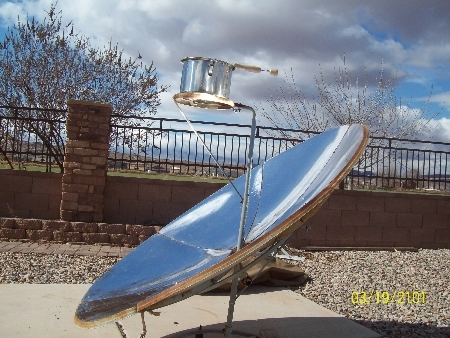 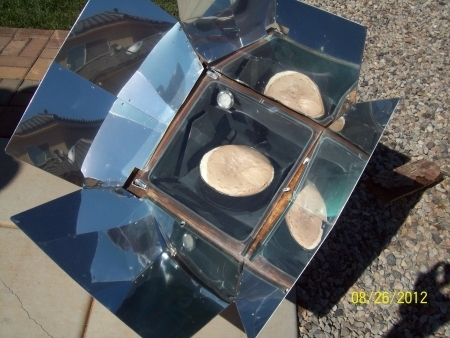 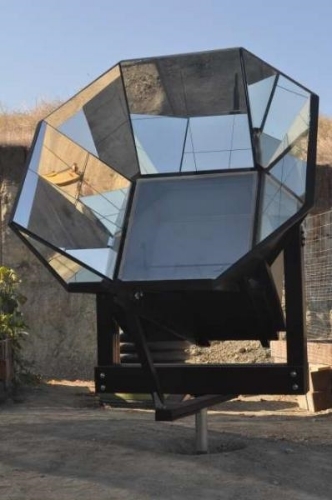 This page is dedicated to everything solar cooking! 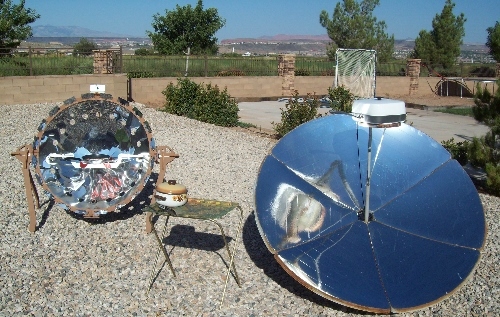 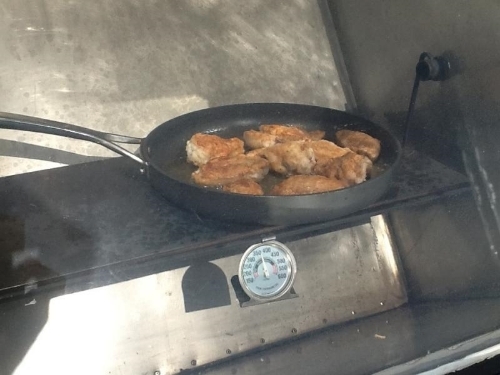 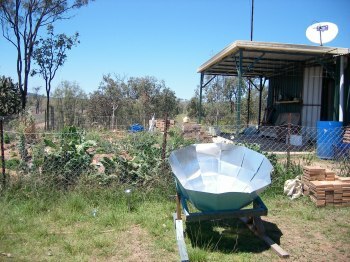 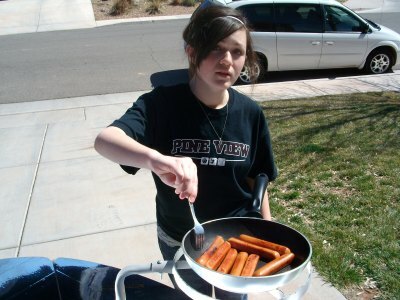 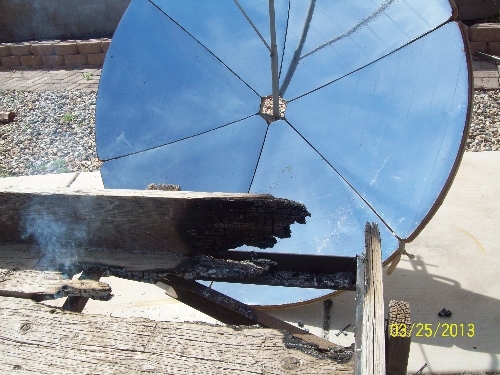 Send us your photos and write-ups on your experiences with solar cooking and we will publish them here on our site. 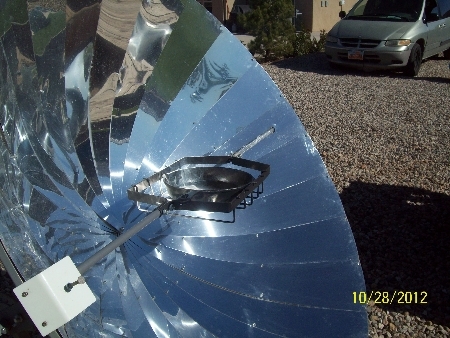 Also see our new videos on the different major commercial solar cookers at Solar Cookers Videos. 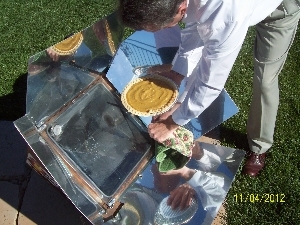 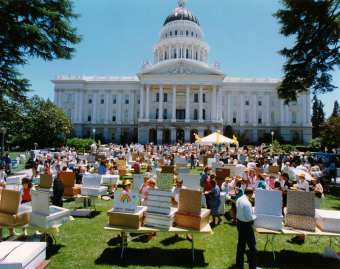 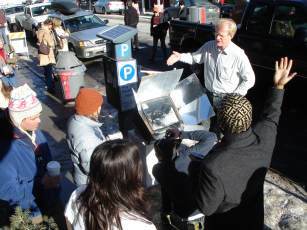 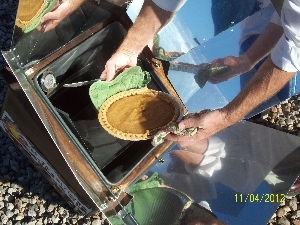 **If you would like to promote your solar cooking events, classes or get together please go to our "solar classes" page. 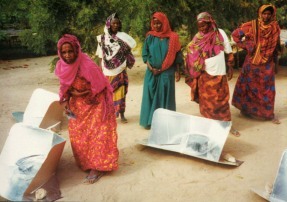 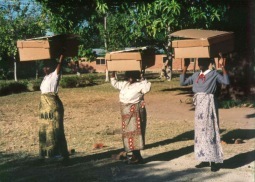 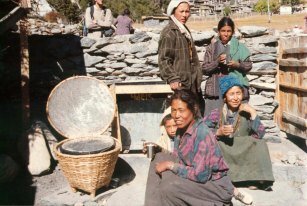 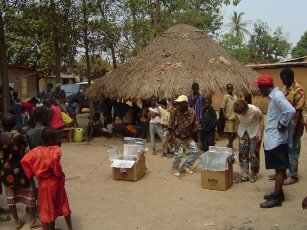 Villagers using homemade box cookers. 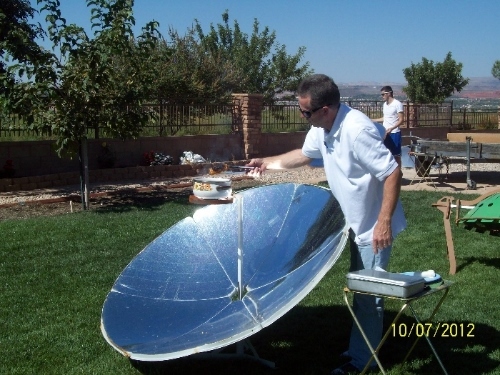 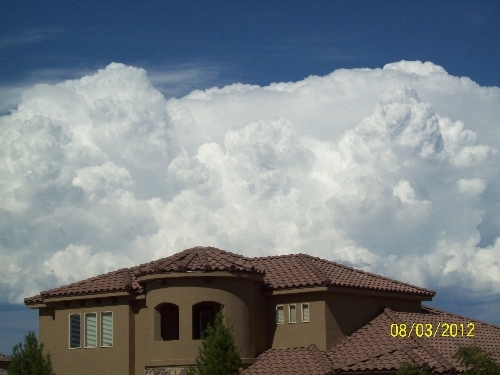 Solar cookers festival in Washington D.C.
Summer Monsoon building up over St. George, Utah in the late summer months can make solar cooking a challenge, but if you get it done early (by 3:00 PM) you can usually beat the clouds. 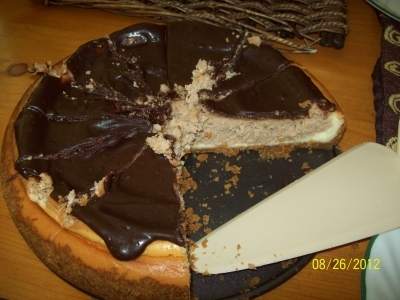 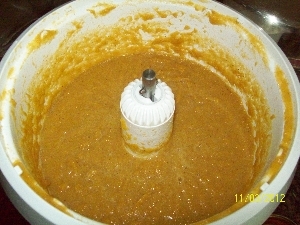 The delicious results of our solar baking experiment...this cheesecake was one of the best I have had.